currently in preconstruction at 236 3rd Street East, North Vancouver. 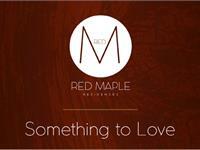 Red Maple Residences has a total of 57 units. Red Maple Residences is a six-story concrete mid-rise condominium located in Lower Lonsdale on East 3rd. The project proposes fifty-seven premium quality homes that are made up of townhouses and 1-3 bedroom condos. The building is oriented around south facing views of the Vancouver Harbour and downtown Vancouver. Most homes have large balconies and the penthouses have sky lounges. Conveniently located in the Lower Lonsdale community with all that the neighbourhood offers. Contribution to improving the public realm with new sidewalk and Red Maple tree line boulevard. Red Maple buildings draw on their surroundings using wood, stone, and natural lighting. The building will be designed and strategically located to integrate into the landscape and slope, maximizing the view corridor. The building will provide a strong outward curb appeal and message of revitalization of East 3rd street. Red Maple Residences exceeds the municipally of North Vancouver’s building standards. Building with sustainability in mind, Red Maple Residences is targeting Built Green Gold equivalent and EnerGuide 80. Your inquiry will be delivered to the Red Maple Residences sales team, who will send you more information about this development.